Hot Deal: Fujifilm X-E2S for $419.95! Super Hot!!! Adorama has a great Holiday Deal on the Fujifilm X-E2S Mirrorless Camera Body With XF 14mm F2.8R Lens and Grip for only $849. This is $898.94 cheaper than regular! Super Hot Deal!!! Adorama has a great deal on Fujifilm X-E2 camera for only $499 and with Kit with XF 18-55mm F2.8-4 R LM OIS Lens for $689. This is much cheaper than at Amazon/ B&H. Super Hot Deal!!! 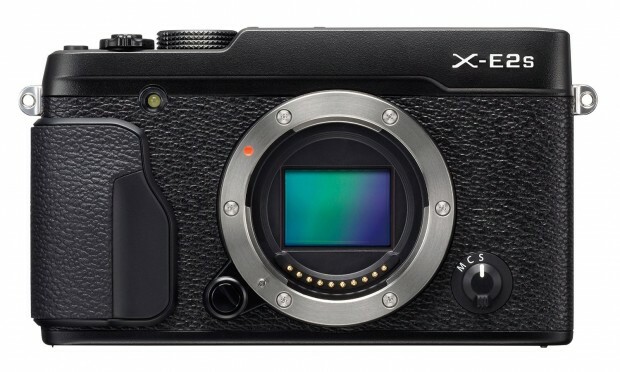 Amazon has just dropped the price of Fujifilm X-E2 camera. It is now for only $449.00, available in Black. This is $350 cheaper than regular! Super Hot!!! 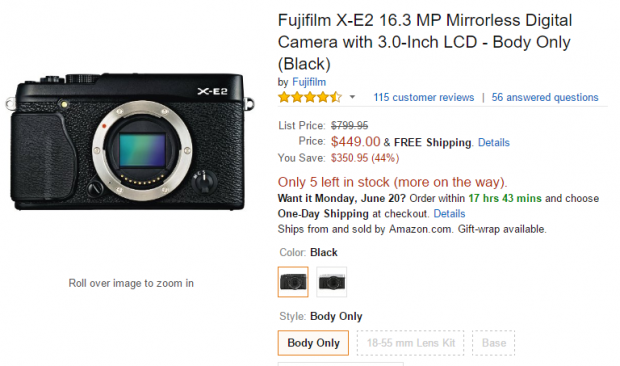 After Adorama dropped the price of Fujifilm X-E2, Amazon has also dropped the price. 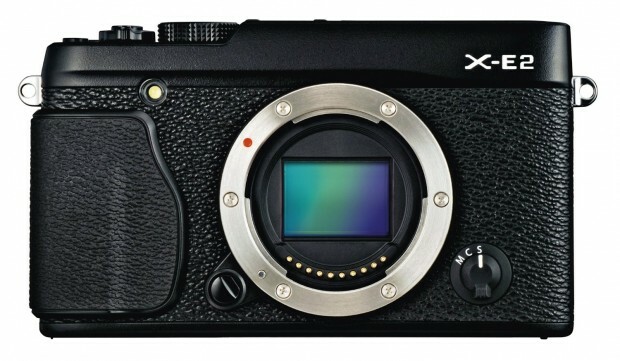 Fujifilm X-E2 camera is now for only $499.00, available in Silver. Super Hot!!! Adorama has two great deals: Fujifilm X-E2 Bundle for only $499.00 and Fujifilm X-E2 w/XF 18-55mm F2.8-4 R LM OIS Lens Bundle for only $689.00. You can get Free 3pc Bundle ($204.90 value). Super Hot!!! After the Up to $400 Off on Fujifilm XF Lenses, Fujifilm has new Instant Rebates on their Cameras! You can get up to $300 instant savings. Super Hot!!! Adorama has two great deals on Fujifilm X-E2 w/ HG-XE1 Hand Grip for only $499.00 and Fujifilm X-E2 w/XF 18-55mm F2.8-4 R LM OIS Lens Black w/Fuji HG-XE1 Grip for only $699.00. 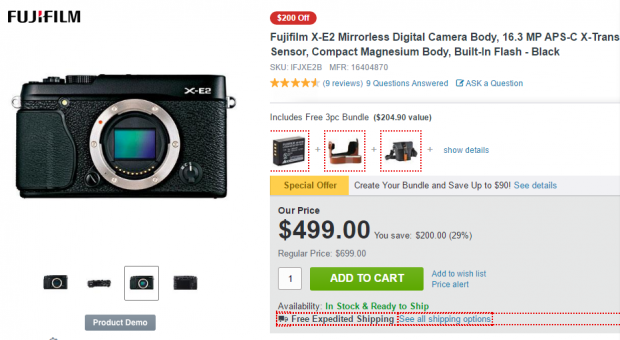 The price of Fujifilm X-E2 Mirrorless Digital Camera with XF 27mm F2.8 Lens drops. It is now for only $899.90, available in Black and Silver. Amazon has a great deal on Fujifilm X-E2 Mirrorless Digital Camera with 27mm Lens (silver) for only $899.90. You can save $348.10. There is only one item left!